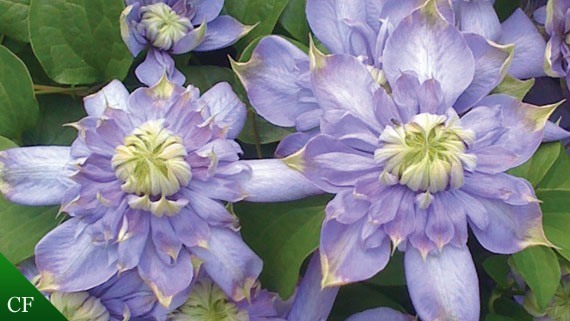 Clematis ‘Blue Light’ (PBR) is a drop-dead-gorgeous double-flowered sport from the very popular Clematis ‘Mrs Cholmondeley’. Introduced into the North American market by Pride of Place Plants Inc. of Sidney Canada. Pale blue-violet to pale blue double flowers appearing between June and September and growing to about 7 feet tall (2.2 metres).